About Webby | I Heart Webby! Meet Webby, the apple of my eye! I rescued her from an animal shelter in September 2011. 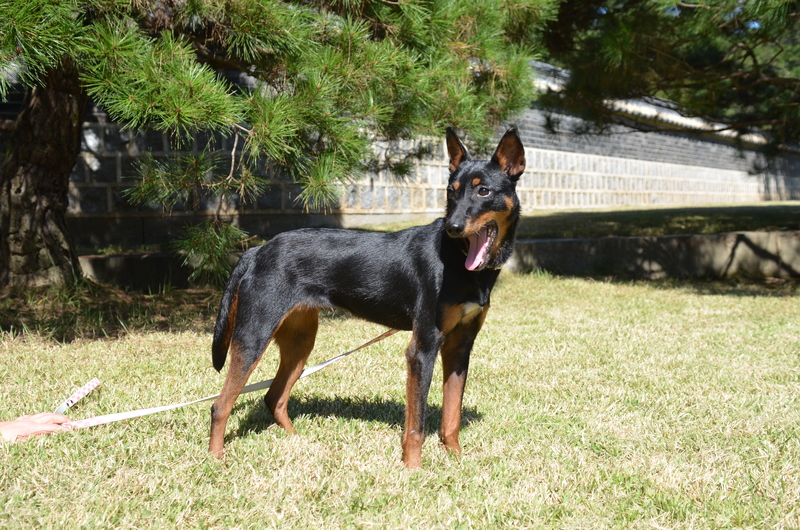 Webby was just a young puppy when she ended up at the Busan city shelter. Unfortunately, city shelters in Korea only keep the animals for 10 days before they are put down. A very kind man brought Webby to a no-kill shelter all the way in Asan (several hours away) so she could have a chance of being adopted. While at the shelter, her guardian angel was an amazing volunteer named Allison. She took a special interest in Webby, and thanks to her, I was able to really know a lot about Webby before I adopted her. 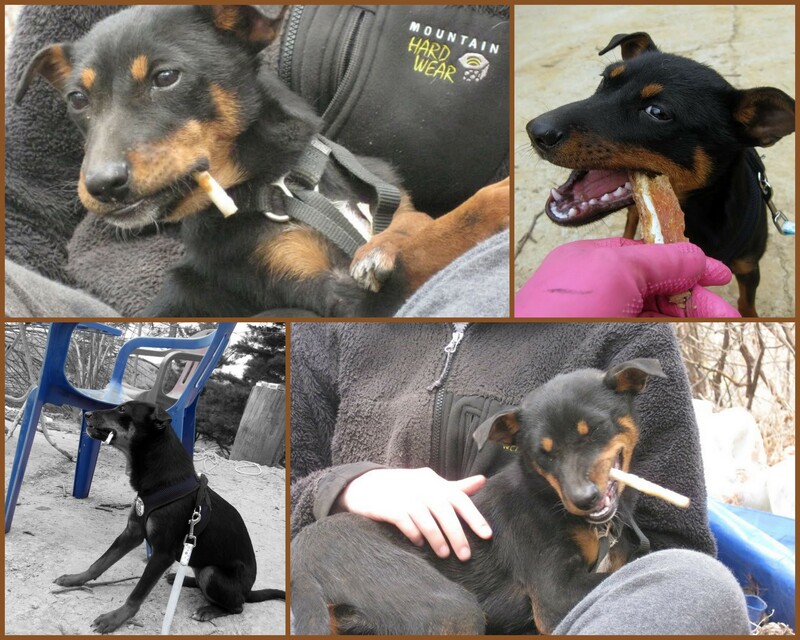 As a young pup, Webby was so cuddly and loving—but as the months rolled on, she grew anxious and “desperate.” Totally understandable—the shelter volunteers are only there once a week on average, and Webby was missing out on the critical socialization period for puppies. She showed a lot of “doggy initiative” in that she kept escaping her pen. Poor girl would have scrapes all over her belly whenever she scaled and jumped over the 6ft chain link fence you see in the shelter pics below! With time, her face grew longer and her ears straightened. Like the saying, “the darkest hour is just before the dawn,” Webby also faced a great challenge and near death experience before she joined my family. 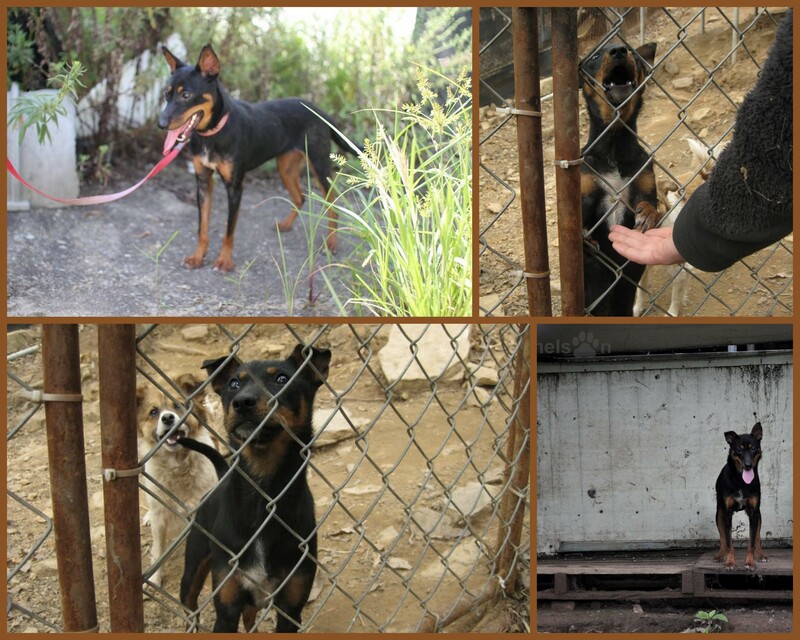 Webby, along with 3 other dogs in her same fenced-in pen, were seriously infected with ticks during the summer. From what I’ve been told, the ticks were all over her face around her eyes, in her ears, and across her chest. I am forever grateful to the shelter volunteers who managed to pick off more 30 of these parasites, but even they have admitted to me that they were sure she would die. After all, the other three infected dogs did not make it. But Webby is a survivor! But after the tick invasion, and also because of her repeated escape attempts, she was moved into a cage. This must have been torture because she is a very active dog…and this added to her “desperation.” Apparently, she would be so excited and worked up on the days when volunteers came over, that a lot of volunteers wouldn’t go to her cage—she just seemed too much to handle. She’d howl and shake the cage, and just generally gave the impression of being a bit bat-s*** crazy, pardon my French. So that is how Webby came to join my family. I was supposed to only foster her to help become more “adoptable,” but found I just couldn’t let her go! 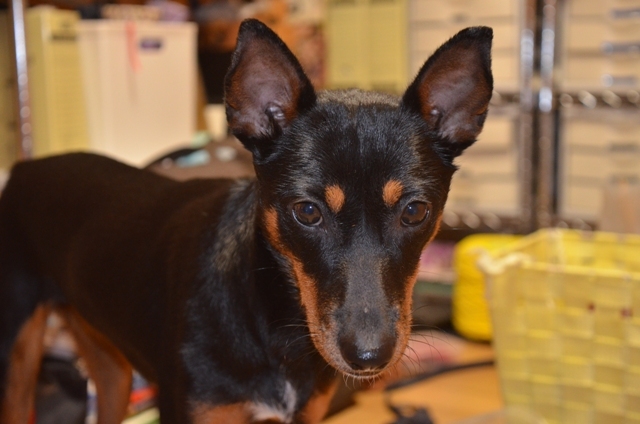 I’m guessing she’s a Miniature Pinscher mix… One of her parents must be a larger dog with naturally pointy ears, since mini-pins have floppy ears which get cropped. Also, her paws are pretty big for her frame–and that’s how I came up with her name. 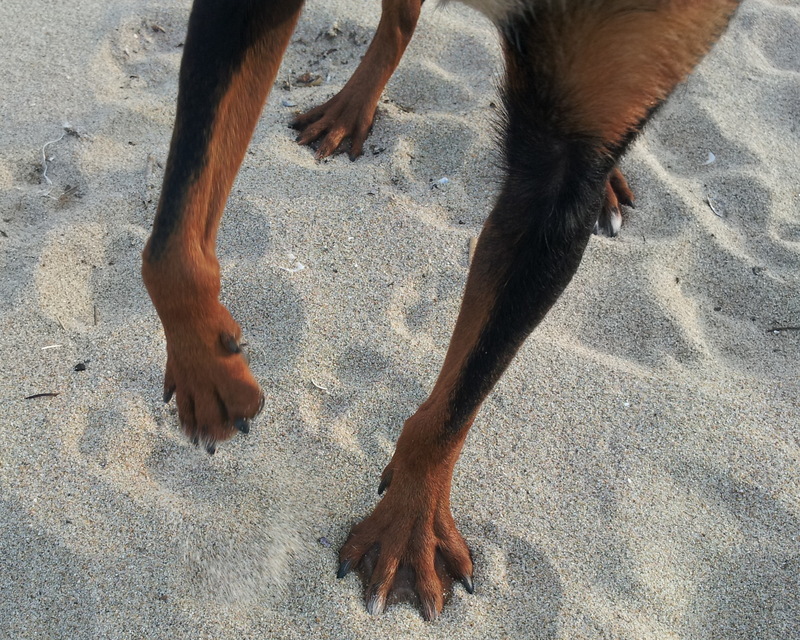 I took her for a walk at the shelter, and when she was standing on some sandy-dirt I thought, “Those are some HUGE webbed-feet! Aha! Her name should be ‘Webby’.” Don’t take my word for it, though~~ see for yourself! Be sure to check back here for updates on Webby’s life and my adventures in dog training and crafting doggy accessories. Woof woof!